As soon as the air turns crisper you can feel it coming…football season! The sights and sounds of a big game are always a fun way to gather the family, whip up some yummy food, and have some fun. But now that we have kids, trying to get them involved in our Sunday Funday tradition isn’t always easy. 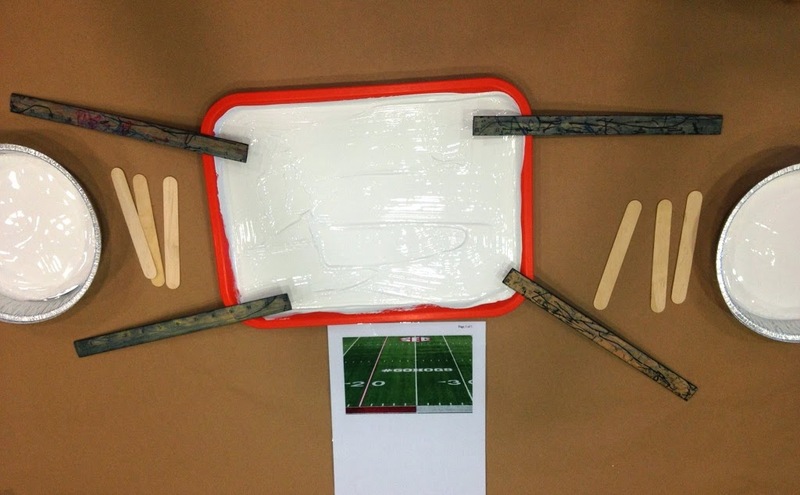 That’s why I love this football painting project for kids of all ages! My daughter’s art teacher, Miss Jo at Nova Southeastern University’s Parenting Place, always shared fun projects each week in art class. She introduced this cute and simple football painting activity which is perfect for girls or boys. Everyone loves football right? And what’s interesting is the kids don’t need paintbrushes. 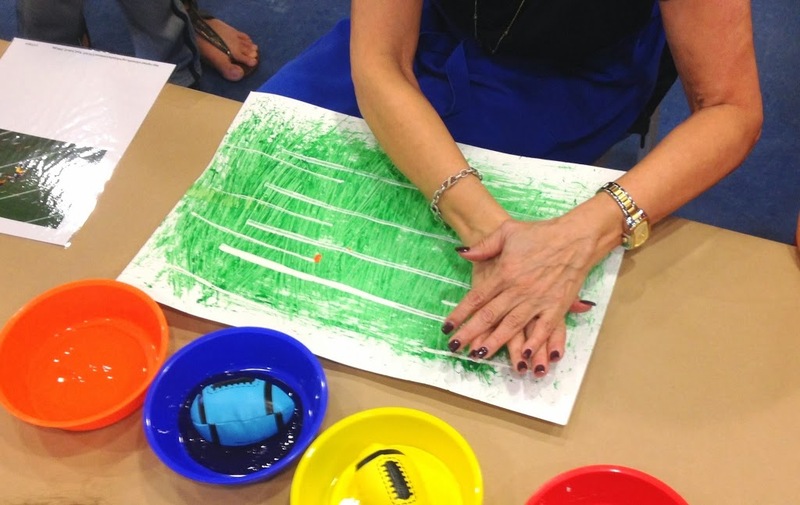 She uses mediums like faux grass and footballs to paint, so fun! 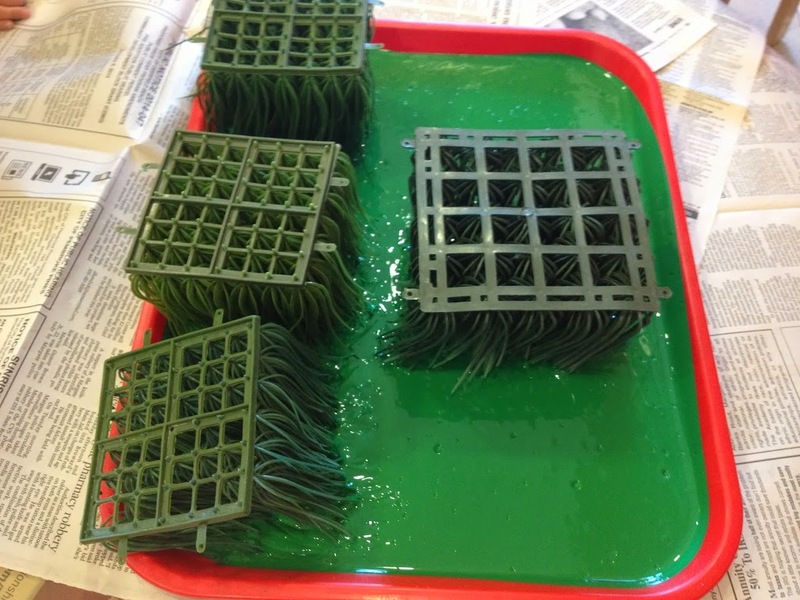 First things first you need some grass and green paint. No faux turf? 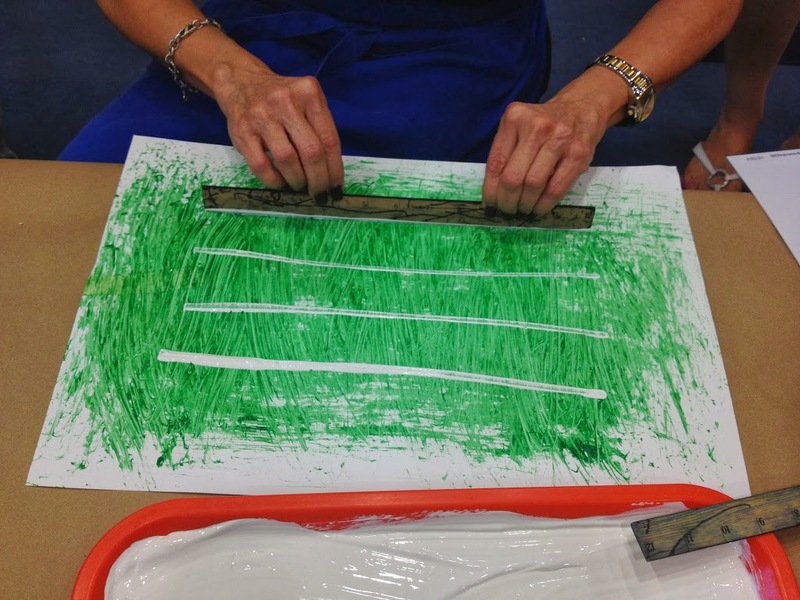 No problem, you can use a carpet square, or even a wide paintbrush. And then your little one paints the field! Let them choose, horizontal or vertical. I find that taping it to a wall, easel, or even a sliding glass door makes for easy clean up. My little Emy totally dug this painting activity! How about some white lines for the football field? You can use rulers for longer lines, and popsicle sticks for shorter. Make sure to encourage your little one to use both hands, that was our biggest challenge in the twos and threes! Miss Joe showing kids some different techniques. Emy loves the ruler painting. Paint with footballs! You can press down and make imprints, or use the tips. Or you can allow the kids to freestyle like we did! As Emy would say “ta da!” A lovely green football field ready to use as a decoration for your Super Bowl party. 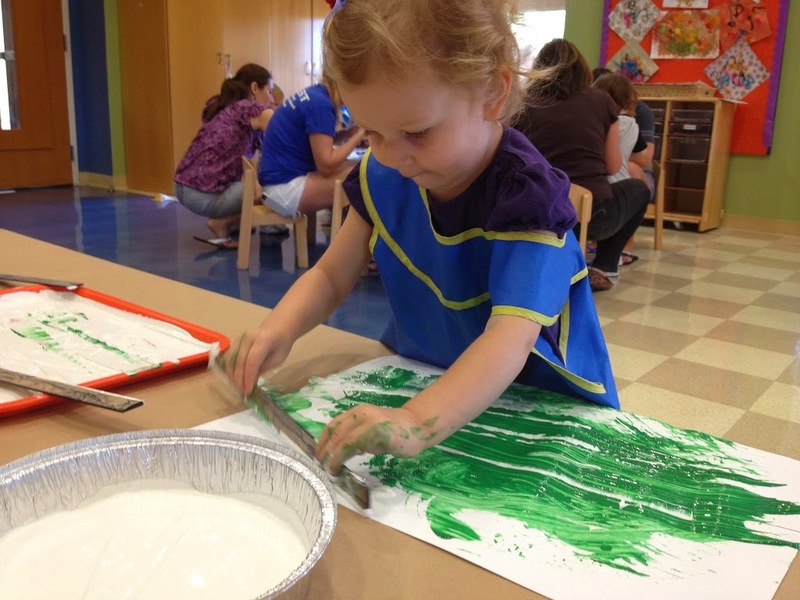 Or you can just let them have a field day…finger painting fun for Em! Try this football painting activity for kids! And there you have it! 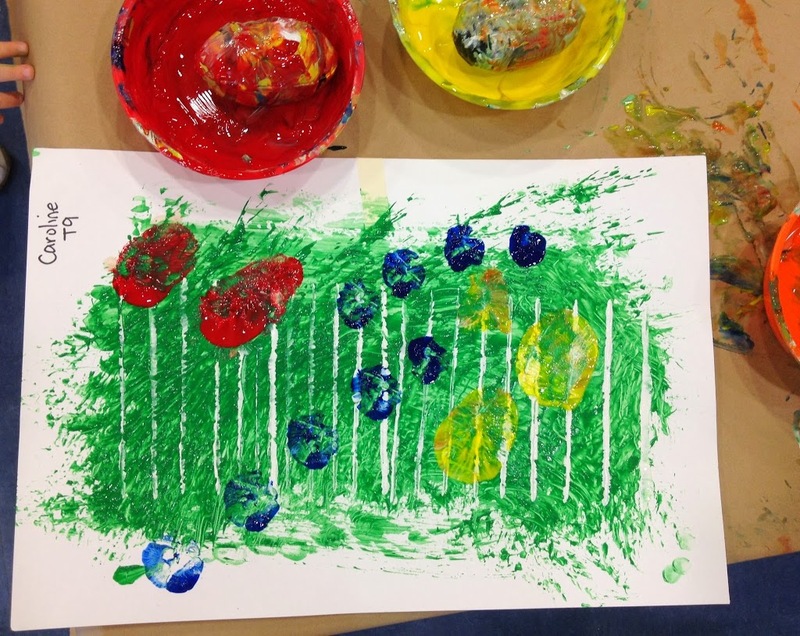 A fun and messy football art activity. I know what you’re thinking, it’s A LOT of cleanup. We will definitely do this one on the back porch, or cover our table with contractors paper. Even though it’s a bit of work, the kids had a blast! And if it involves sports…you know we endorse it. Hope you enjoy your Sunday Funday and your kids have fun with this! And if you do decide to tackle this one with your kids (pardon the pun), send me a pic on my Facebook page please! 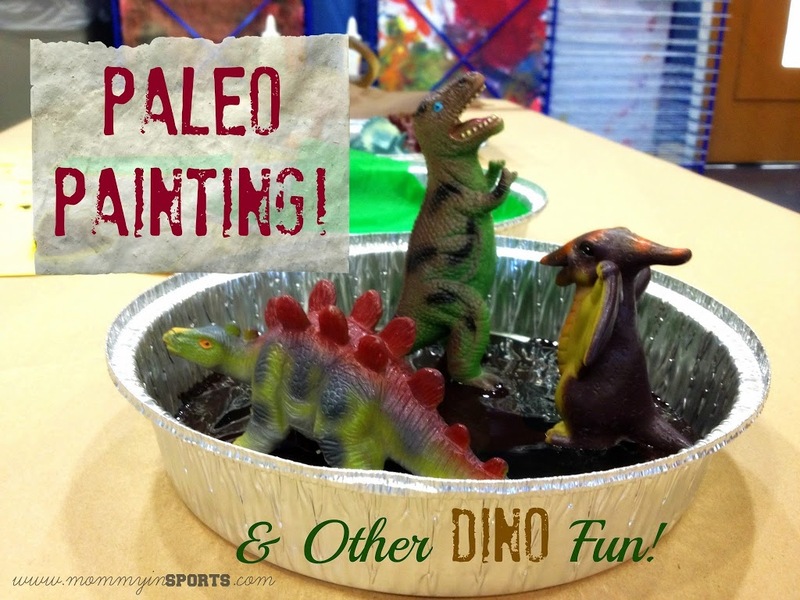 Did you like this post, check out some of my other TEACHING TUESDAY art projects like this Paleo Painting! 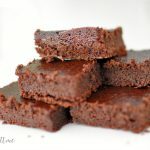 Or if you need some football inspired recipes you might like one of these! We make commercial bingo cards for the kids! Wasn’t it great? Thanks for stopping by. Have a great weekend! Very cute. 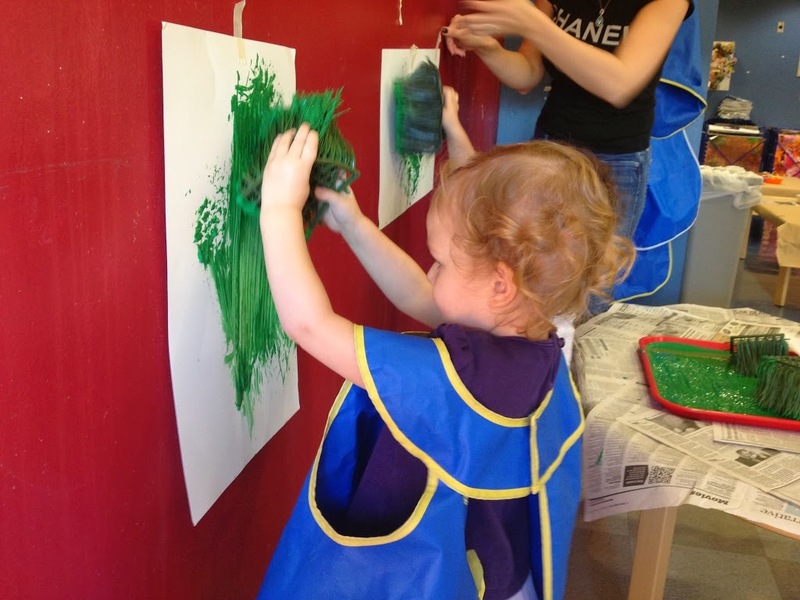 My kids love paint – and football! Stopping by from SITS! Hope they like this one! Thanks for stopping by! 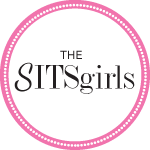 Super cute ideas- here by way of SITS. Looks like the kids had fun! Thank you for linking up to the Weekend re-Treat Link Party! Pinning this! 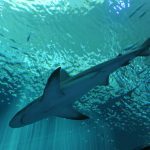 Thanks for sharing on The Jenny Evolution’s weekly Friday Flash Blog linky party. How fun! This is an adorable craft I will have to try this one out with my kids! Thanks Krissy! Will check it out and share as well. Appreciate the kind words! What a fun idea! Sounds like your girls had a lot of fun! This is so great! We’re totally doing it before the big game. I love using different media to paint with. One of our favorite ways is to put a paper in a cake pan, add a squirt of paint, throw in various sized balls (marbles, golf balls, etc) and start rolling. The best part(well, for me) is, it’s mess-free! I have a post coming up on that too! And painting with textures! That is so fun!! My kids really love Creative Galaxy on Amazon and have starting trying new methods of creating art. 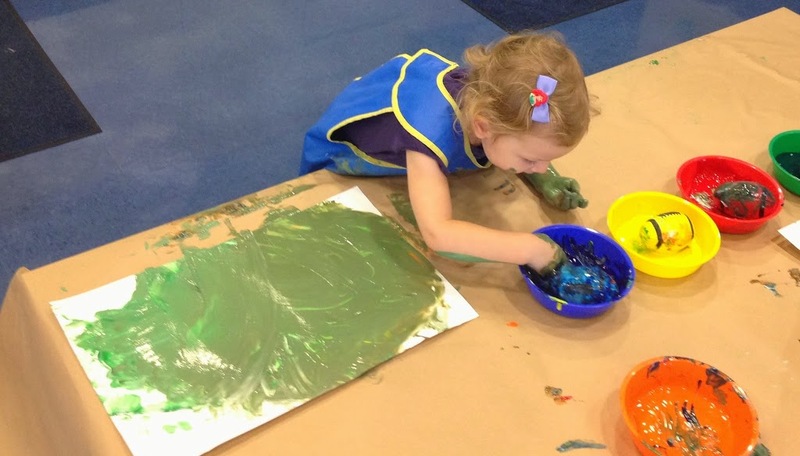 When we went the Pittsburgh Children’s Museum my son wanted to test his “action painting” skills and was flinging paint at the paper…it was so cool! 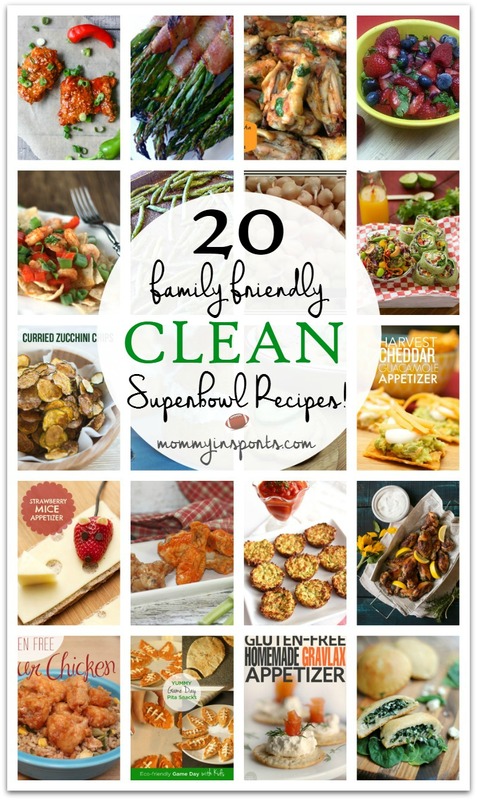 What a cute idea with the Superbowl coming up! Fun! This is super fun!! Livvy would love this, anything with paint! It really is fun to roll up your sleeves and paint with different mediums! This is so cute! My 5 year old would def dig this. He loves paint!